Imagine when you're looking forward to relaxing in your hot tub after a long day or for therapy to relieve those sore muscles and aching joints only to find your hot tub is cold, leaking, empty or in need of another repair. Pool Doctor Contractor's Certified Hot Tub Technicians offers a full range of maintenance and repair services of all brands of portable electric hot tubs. Repairs including leaks, pumps, jets, heaters, blowers, topside controllers, ozonators and electronics. While The Pool Doctor Contractors can turn your pool into an aquatic playground we can also transform it into a relaxing retreat. We are here to design and create a total backyard package to fit your lifestyle and budget from simple to elegant. While enjoying the hearty laughs of children, the fun of adults, a fresh drink, fruit, snacks and more let us help you peacefully drift away into complete relaxation. There is no better way to achieve that than having that custom spa by the side of your pool. We believe that a custom spa will not only bring many benefits to you personally it will add to your home’s beauty and bring added value. Below we have listed just a few benefits. Relieves tense muscles and reduces stress. Relieves muscle pain, spasms, and arthritis. Heart rate and body temperature rise which results in increased circulation and blood flow. Inflammation of damaged nerves and muscles are reduced. 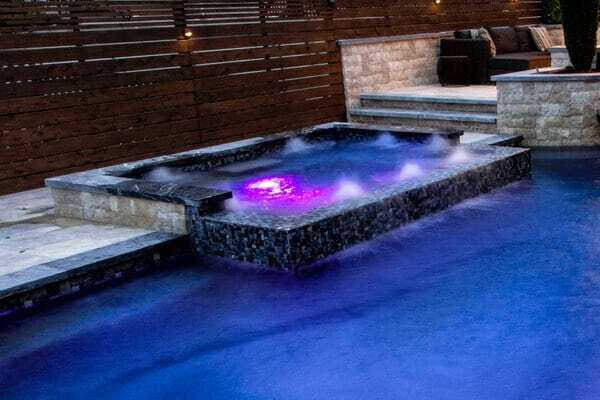 Now it is time to imagine hanging in the cool water of your pool on a hot day or swimming a few laps and then slipping into a beautiful custom spa. The relaxing sound of the bubbling water or spa spillover trickling into your pool can be so relaxing and welcoming. At night add a touch of lighting and a fire feature, and you will be all set to reap the benefits that spas have to offer. 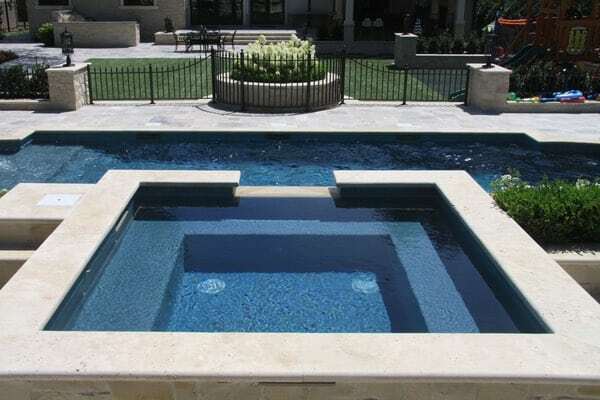 The Pool Doctor Contractors are here to design and build the perfect spa to accent your pool while providing you with all of the luxurious, healthy and financial benefits. Are you ready? Contact the Pool Doctor Contractors today for a free, easy quote at 718-984-POOL or use our contact form.